Dry cleaning software efficiently manages a dry cleaning business’ operations, with the end goal of maximizing profits. 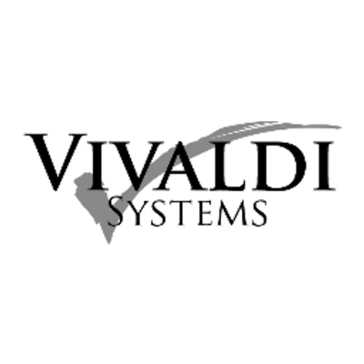 The software’s functionality ranges from simply providing a point of sale system and secure payment processing, to shop and inventory management, delivery route coordination, and customer contact or communication databases. Dry cleaning software is either implemented on-premise or hosted in the cloud. Compassmax is a full-feature point-of-sale software platform that combines simplicity and competence. It is designed to improve efficiency in every aspect of the dry cleaning business, from sale to delivery. Geelus is a cloud-based point of sale (POS) software designed for dry cleaning, laundry, clothing alteration, and tailoring businesses. The software offers a range of features for managing sales, inventory, employees, SMS and email marketing, customer loyalty, invoicing, referrals, and more, with support for managing multiple stores through a single interface. Geelus Cloud Based POS Software – Features at a glance: - Clean, modern and user-friendly design - Loyalty system to boost your business - Referral system to manage and tip your referrers - Account receivables and bulk invoicing system - Time sheet system to track staff time logs - Categories to perfectly manage your sales - Support for multiple consecutive transaction numbers - Multi layout system - Multi user / Multi role support - Price books to allow different prices for different customers - Fully configurable roles and access - Multi register support - Support for multi store under one account - Multi-store reporting - Support for multiple POS printer and print templates - Fully configurable receipt and invoices (print and email) - Fully configurable text message templates - Automated actions to fully control the workflow - Processes to micro manage staff productivity - Offline enabled - All platforms supported iOS, Android, Windows, Mac Linux even PSP and XBOX! - Product sale and stock tracking - Payment processing systems to allow your customers pay online - Discount/surcharge tracking - PCI compliant payment processing to allow save and charge customer credit cards - Built on best cloud technology to ensure fast and reliable service quality - GDPR compliant - Regular Updates and Improvements - Stored credit system for refund as credit or to allow manually allocating credit to customers and spend them later ** No risk, and no credit card required. Try Geelus free for 30 days now! 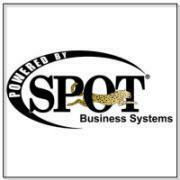 SPOT has features that range from simple operation by the user, detailed reporting for production and accounting, retention marketing to customer service features all with enterprise class configuration options. TMS (Textile Management System) is based on Microsoft .net the latest technology from Microsoft. TMS is the most complete Dry cleaning/Textile Management Software on the market with functionality and ease of use that is unmatched by any other dry-cleaning product. The system has been used by over 4000 drycleaners all over the world.TMS.NET revolutionizes the world of Textile Industry. Available in English, French, Spanish, Romanian and Dutch interface. Expandable cloud apps include RFID garment tracking and GPS delivery routes, laundry process management with streamlined ordering, packaging and invoicing, and customer relationship management and dedicated customer portal. Dry cleaning is all we do, and we're the best at what we do. Just like you. Touch Control offers you ways to reach out to your customers in the background while you work. It is designed to be quick and simple to use for your counter help yet powerful enough to handle everything your growing business needs. Pivot is a cloud based software application specifically designed to manage your entire dry cleaning business from any place at any time. Pivots extensive feature sets cover everything from the simple tasks of marking in to managing complex automated personalized marketing campaigns. TurboClean is a solution that allow user to take control of the business, streamline transactions with an automated system, deliver customer focused service and ensure greater control over employee actions. WinCleaners is a dry cleaner management software that provide custom letters, coupons, and advertisements that help user market business to current customers as well as prospective customers. WinDryClean is a t dry clean computer software product. It is an easy program for dry clean plant to operate that will give you complete control of cash management and production at an excellent price. Laundry Enterprise Resource Planning (ERP), contract management and logistic solutions for the Textile Rental Business. Made up of texroute (route and containger management), texorder (inventory management), and texscan (RFID scanner). Bundle Star is a smart laundry management system. Bundle Worx is a smart productivity and utility management system giving real-time reporting and monitoring. Christian Cleaners is a Dry cleaner POS software that has a heightened financial security features and ergonomic user interface design. The revolutionary Point of Sales software for dry cleaners and laundries with over 5,000 user in over 50 countries. With POS, pickup and delivery apps, as well as integrations with accounting systems, assembly conveyors, lockers, and payment gateways CleanCloud is the only choice for a modern dry cleaning or laundry business that will raise your productivity and lower your costs. Power your business today with CleanCloud Dry Cleaning Software. CleanEngine is a cloud-based ERP system designed specifically for dry cleaners, bio cleaners, laundries, ateliers and alterations. Cleaners POS is a cloud-based or local software for single store Dry Cleaner's that help to Multi-Chain with Routes and Automatic assembly. CleanMax is a software that has the capability for enabling the user to categorize garments precisely within a versatile and expandable drop screen interface. CleanSuite, is a value point of sale software for drycleaners. Clean Touch is Made for... Dry Cleaners, Drop Shop, Flower Shop, Shoe Repairs and More... Any Business that needs to keep track of customer's every transactions, This is The King. cleanwash is a desktop software for retail business management that allow employees to receive orders and jobs, it is customizable and include branding and choose or set many options including business name, currencies, address, phone, email etc., managers include a search, filter and sort feature which helps user find data quickly, print receipts, tags, invoices for customers after each transaction and print reports; including expenses, orders, customer, customer histories, inventory lists, services, and price. Cloud-based software for dry cleaning, Clothing Alteration, Laundromat operation. DCCS is a sophisticated cloud software solution for dry cleaners. Laundry management software for your laundry business. Limited Time Free Hardware Terminal Bundle With Any Subscription & No Upfront Cost. DragonPOS is an easy to use Point of Sale that keeps your in store & online customers coming back. Grow your business with web & smartphone friendly customer tools for sign up, scheduling and account access for a seamless pick up & delivery service, plus dry cleaning & laundry locker options. Free 15 day trial - Nothing to download, No Set up and No Workstation fees, try us today! Inbuilt ticket racking system for conveyors and fixed rails with optional SMS messaging. Automatic/Manual release forms with type of incoming garments. Time Attendance clock for staff. Built in sales dashboard in admin section of program. Account/Agent invoicing and payment system. Stock-take. Void/ Cancel tickets. Unlimited Items and item type setup and pricing. Loyalty voucher system based on reaching a certain value. Point of Sale dry cleaning software and laundry software. DryClean PRO is an easy to use, reliable, versatile and time-tested software that has advanced features like auto-marketing and per piece item tracking. DryClean Soft is a Dry Cleaner Store POS Software that can be use with Touch Screen or Without Touchs screen, all Transcation and operations are save , so user can view it later in the form of Reports. The World's First Dry Cleaning system that works with QuickBooks. It is a FULLY integrated POS system, with production and management function. It takes you from Drop Off to Pick Up and every thing in between.You can also use it for your entire accounting needs. DryFi was designed by a (Dry) Cleaner with a (Fi)nancial background. It has all of the latest SMS texting and E-Mail tools. Enlite POS software for dry cleaners is intuitive, fully customizable and won't leave you hung out to dry. Our revolutionary cloud based software allows you to work from any device from anywhere in the world. Our mobile apps allow customers to book a drop-off or collection, track the status of their orders and at the same time encourages more engagement and customer loyalty. Our software increases productivity, eliminates mistakes and with 30+ years of experience we are the #1 choice. EZ-Touch for Dry Cleaners is a Windows based touch-screen management system that help to improve Dry Cleaning business. Fabricare Manager POS provides all of the capabilities required to manage today’s drycleaning businesses. Since 1999, cleaners using this software and computer system have confirmed that it is the perfect choice for controlling cash, inventory, production and so much more. Based on Microsoft Windows and a specially designed touchscreen interface, the system is remarkably reliable, affordable and easy to use. Follow Dry Cleaning, Laundry and Alteration is a system that allows user to access the system remotely from anywhere in the world that there's internet. Keep a complete record of your client information for personalized service, fast processing and complete customer satisfaction. Track customer spenditure and increase sales by making use of i-laundry's built in loyalty programs. Laundry management software to handle commercial and industrial laundry activities. Laundry Manager system tracks the movement of every tagged item from the laundry to each hotel, leaving and returning. It also automatically sends reports to accounting for invoicing customers and to purchasing when inventory needs replenishing. Comprehensive, complete and concise software available for dry cleaning and laundry business that enables complete automation of the business operations & management and assist in marketing and strategic decision. The InvoTech Laundry System integrates RFID technology to most efficiently manage industrial laundry operations, and hotel and hospital laundries. Laundry-Trak software is an on-premises software that automates linen weighing and handling (with, or without, scales and carts) including order processing, shipment, billing and management reporting for the commercial laundry, hotel, hospital/healthcare and hospitality industries. Who Uses Dry Cleaning Software? Dry cleaning software helps dry cleaning industry professionals manage all business processes from barcode creation through customer relationship management. Dry cleaning, laundry, or alteration businesses benefit from features including point of sale (POS) solutions, pickup and delivery options, performance analytics, and multi-store location management. Dry cleaning, laundry, and alterations businesses use dry cleaning software to streamline and manage all business processes. Every size of business, from single location to companies with multiple locations and plants, can benefit from dry cleaning solutions. Multi-device support — Dry cleaning software works on any system including PC (desktop or laptop), Mac, iOS, Android, and more. Customizable — Dry cleaning solutions provide customizable tools so businesses can maintain their branding across their website, mobile app, tickets, products, etc. Point of sale — POS features often include SMS and email notifications, payments, and barcode scanner support. Garment categorization — Dry cleaning solutions provide garment categorization options including garment fabric type, color, patterns, texture, and more. Proper categorization ensures accurate pricing depending on business practices. Billing — Billing features provide transparency into current and pending balances. Dry cleaning businesses can search statements by filters such as billing cycle, payment terms, customer name and type, and more. Customer management — Customer management tools are an essential feature of dry cleaning software to manage their customer database. Barcodes — Dry cleaning software provides barcode solutions, including support for preprinted or printable barcode labels and barcode scanning. Ticket printing and garment tags — Managing customer inventory is a vital aspect of the dry cleaning industry. Ticket printing and garment tags keep track of all customer garments. Employee management — These solutions help dry cleaning businesses manage staff schedules, activity, training, and more. Inventory management — Dry cleaning software provides inventory management to track all cleaning equipment and products, as well as retail products. Integrations — Dry cleaning software often integrates with various tools and applications to streamline all business processes. These include but are not limited to accounting, marketing, route planning, fleet management, and more. Multi-store support — Dry cleaning businesses with many locations can manage their workforce, workflow, and metrics across all locations from a single solution. Marketing — Some dry cleaning businesses might also benefit from marketing solutions to design marketing campaigns. Loyalty programs — This dry cleaning feature would manage loyalty programs, coupons, and special discounts for regular customers. Mobile apps — Dry cleaning solutions provide dry cleaning businesses and their customers with easy-to-use mobile apps. These customizable, branded solutions ease all transactions between customers and dry cleaning businesses. With mobile apps, customers can access their current and previous orders, review order details, receive push notifications regarding their current orders, pay for orders through the app, and more. Customer information — Dry cleaners are able to collect, maintain, and analyze customer information including when they visit the store, what services they use, and the types of garments they bring in for cleaning or altering. Dry cleaners are able to target their customers with specific services and discounts. Dry cleaning software can provide customer profiles and might provide features to survey customers to collect actionable insight into the business. Drop-off and delivery services — Dry cleaners are providing drop-off laundering and delivery services. Drop-off laundering lets customers drop off dirty laundry and pick up their clean and folded laundry at the time of their choosing. Meanwhile, delivery services manage the entire process of picking up and dropping off a customer’s laundry at a designated location. This will attract the customers that choose services based on convenience. Laundry services expansion — Dry cleaning businesses are maintaining their client base by expanding their offerings to include laundry services. Workplaces are trending toward more casual daily attire, and many potential customers, especially those in crowded urban areas, use laundromats to clean their clothes. Dry cleaners are expanding to include full-service laundry options as well as self-serve washers and dryers. Green technology — Green and environmentally friendly dry cleanings services are becoming more and more popular. These services include using chemicals with a lighter impact on the environment, as well as technology that reduces the amount of water necessary. Accounting software — Dry cleaning software often provides some basic bookkeeping functions as part of the POS system. For more robust accounting tools, dry cleaning software often integrates with accounting software to automate moving transactions from POS to accounting. CRM software — Dry cleaning software provide customer information but for a more rigorous marketing campaign, these solutions often integrate with marketing and CRM software to migrate customer information and run effective marketing campaigns. Payment gateway software — Dry cleaning software integrate with payment gateway solutions to automate and secure all payment transactions. 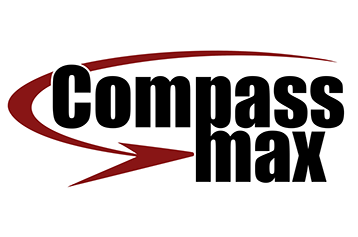 Route planning software — Dry cleaning businesses often offer delivery solutions to customers to pick up and drop off laundry. Route planning software helps dry cleaning companies manage their vehicle routes and schedules to optimize driver performance and routes. Fleet management software — Dry cleaning companies with many locations can benefit from dry cleaning software integrating with fleet management software to optimize truck deliveries. Hi there! Can I help you find the best Dry Cleaning solutions?